All children have their own personal strengths but too often we overlook them and focus on faults and weaknesses. That is when criticism creeps in. Using criticism as constructive feedback can help a child develop confidence in their abilities and decisions. And two, avoid making personal statements about your child such as “You are so messy or You are clumsy.” Avoid labels and shame that can put a child in the position of having to defend themselves or retreating into anger and resentment. If a child is stuck on completing a task or correcting a mistake, build on their strengths, point out what they have accomplished in the past and help them identify ways to solve the current problem. 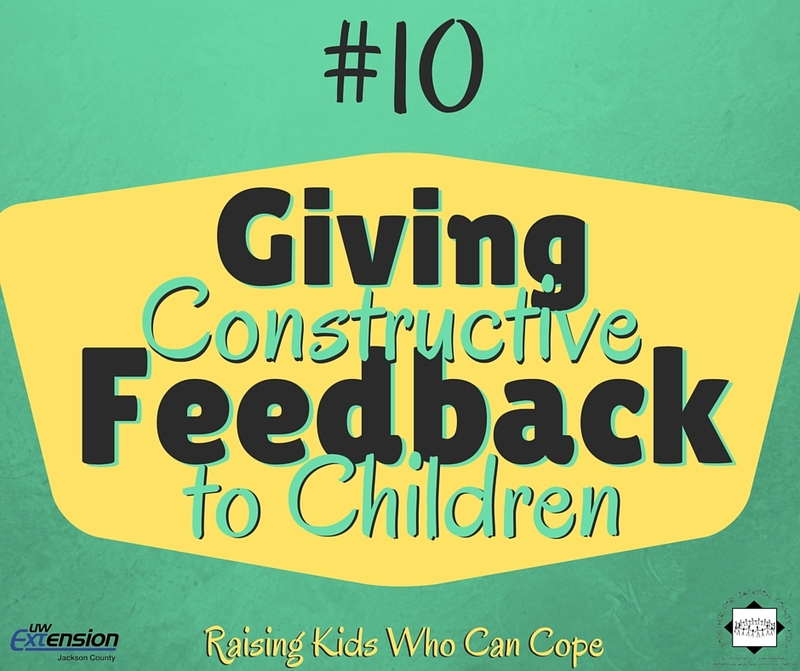 Constructive feedback provides guidance, understanding, and opens up opportunities for discussions between parent and child. This entry was posted in Raising Kids Who Can Cope and tagged coping skills, feedback, healthy communication, youth. Bookmark the permalink.